Typically, parents can start transitioning their infants to solids between four and six months. However, since babies develop at their own rate, you may be unsure if your little one is ready for solids or if you should continue bottle feeding a bit longer. To help you decide when to start introducing solid foods, here is a helpful infant care guide. Before feeding your baby solids, make sure they have developed some neck control first. This helps ensure that the food will go down naturally and safely. If your baby can hold their head upright comfortably, it’s an ideal sign that they can consume solid food. Make sure they can also sit up with support so they can eat and digest the food properly. Before babies are ready for solids, they won’t pay your food much mind. However, once your little one starts taking an active interest in your food, chances are they’re ready for some of their own. Look for signs such as lip smacking, finger sucking, or grasping at the food in your hands, as these are key indicators it’s time to transition. If your infant starts giving you signs of being full while bottle feeding, they may be ready to start a solid diet. Watch to see if they turn their head away from the bottle while drinking or even push it away from their face. 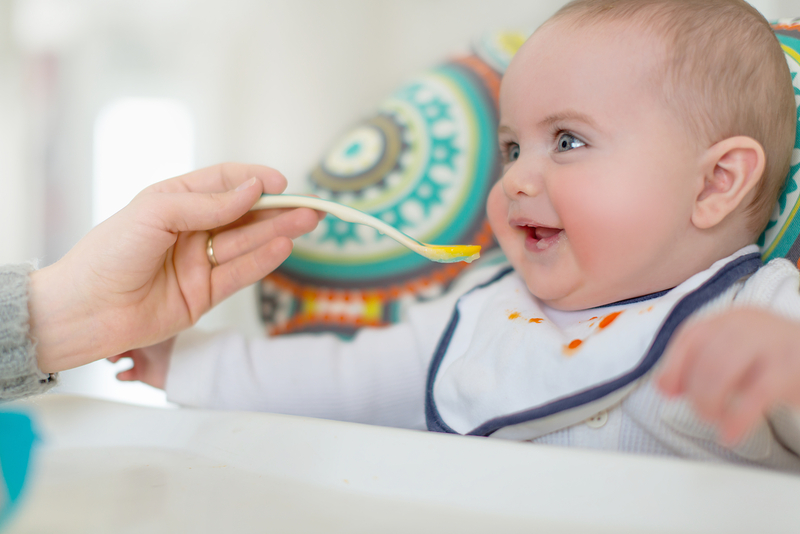 It’s important for your little one to know when they’re full to prevent overeating (which can ignite digestive issues) when you introduce solids into the infant care routine. As a parent, you want to ensure that your child develops in the most nurturing environment possible. If you’re looking for reliable infant care, put your trust in Tiny World Child Care in Brookline, MA. This bilingual daycare teaches children Spanish and will serve as a second family to your children. With a proven curriculum that educates children through inquiry and play, your child will benefit from a well-rounded toddler education. Call (617) 232-0115 or visit them online for more information about their early childhood programs.